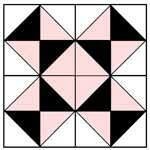 The star motifs in this Pieced Star Quilt Pattern far outnumber almost all other designs. 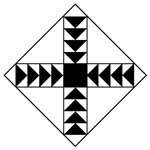 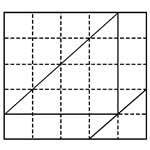 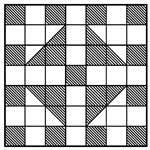 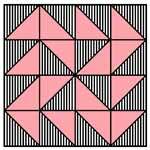 In this one, a variation of the square forms the base for this lovely pattern. 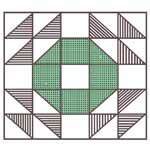 By simply using two half-squares (one in white and the other in a solid color), to form a block, and then by setting these small blocks together, you'll find the design not only fascinating but easy to make. 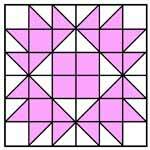 This Pieced Star coverlet is very pretty when the star is made in a bold color, such as bright green, blue or crimson. 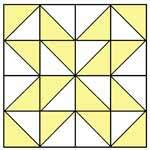 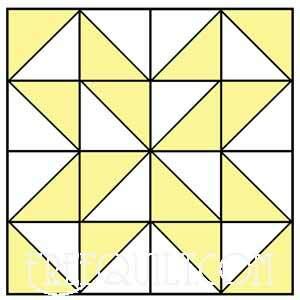 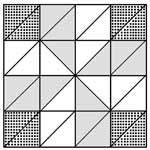 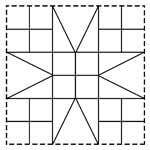 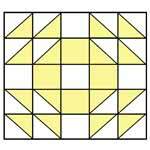 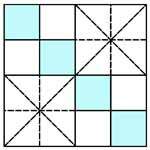 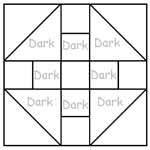 Click on image to print the 5" block of the Pieced Star Quilt Pattern.